While we certainly think Ooma is the best VoIP service out there and provides many more advantages than your everyday provider, there’s a list of common advantages over traditional telephone service that all VoIP providers share. If you’re on the fence about whether or not to ditch your landline, here are seven common advantages of VoIP. Because VoIP doesn’t need to travel over traditional phone lines for much of its trip and can instead use the free and open Internet to complete your call, overhead for VoIP companies is far less than that of a traditional telephone provider. Take international calls for example: Instead of traveling over undersea cables to reach its destination, which the telephone company must pay for the rights to use, your voice call can travel over the Internet. That’s much cheaper. When there’s less overhead, a company can offer its service for less, and that’s exactly what VoIP does. In some cases, you don’t have to pay anything at all: In the case of Ooma-to-Ooma calls, it’s 100% free for as long as you talk. Traditional phone lines require a professional installation to get your service up and running. That’s not necessary with VoIP. Except in the most complex of installations, you can set up your VoIP phone system on your own. Ooma’s setup walks you through the entire process, and you can have your phone system up and running in a matter of minutes. Your phone system is not tied to any one location with VoIP. This makes it extremely easy to place your phones anywhere they need to be, as well as easily move them from one location to another. You can also access your phone system even when you’re not at home through web-based services and apps. For frequent travelers and movers, VoIP just makes a lot more sense. There aren’t as many technological limits to what VoIP can do. You’re no longer limited to basic phone services and forced to pay extra for additional useful functionality. Ooma provides services like call blocking, call waiting and caller ID, encrypted communications to prevent snooping, voicemail and high-definition-quality calls. You can even control and monitor your phone system through a web-based portal. Most of those features are an extra monthly charge with most traditional phone providers. Higher tier packages — like Ooma’s Premier Service — add more features for a low monthly fee. For just $9.99 per month, you get free calling to the U.S. and Mexico, an Instant Second LineTM with a second number, advanced call blocking and conferencing features. In many cases, you’d pay that monthly fee for just one service from a traditional phone provider. It supports your old telephone equipment. You might think that you’ll need new equipment in order to take advantage of VoIP’s great features, but that’s far from the truth. Through special devices called ATAs — short for analog telephone adapters — your phone or fax machine can be connected to your VoIP system with little effort. 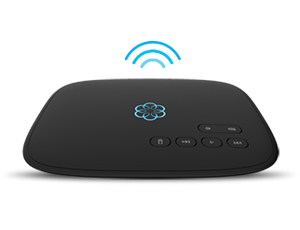 The Ooma Linx is the device used in the Ooma Telo system to connect your traditional telephone equipment to VoIP service. VoIP systems are built to be more responsive to advancements in technology. There’s a limit to what traditional telephones can do, and the technology hasn’t changed too much over the course of the last century. VoIP systems are built on Internet technologies and are software-based. Upgrades to the software can unlock new features, and advancements in Internet technologies can improve service quality. With traditional telephone companies still struggling to move to fiber optics and other next-generation telephone technologies, VoIP is increasingly the high-tech telephone alternative of choice. Everyone has different needs when it comes to telephone service. With a traditional telephone line, you’re limited in where you can place a phone, what services you get and many other factors. 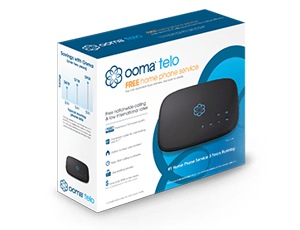 VoIP providers like Ooma give you a variety of ways to connect communications devices to your phone system, whether it be wirelessly, by Bluetooth, or through app-based services on your computer or mobile phone. The possibilities are endless, and you just can’t get that with a traditional phone system. It would be really nice to update your telephone services without actually having to update your telephone. Everybody loves to save money, after all, and not having to buy a new phone is saving money. There’s a certain sentimental value that your phone comes to have as well in my opinion and being able to keep it for longer would be really nice. I like what you said about how you don’t need a professional to install a VoIP system. My uncle is looking to get one for his business and doesn’t have time right now to hire someone to come out and install it. Thank you for the information about how you can set it up on your own and how the system likely walks you through the whole process in a few minutes.